I just might have a stash; a quite reasonably sized one (depending on your definition of reasonable). One day, while unpacking some lovely yarn and pointedly ignoring the rolling eyes of my family members, I decided I needed something that expressed how my view on yarn stash differed significantly from theirs. 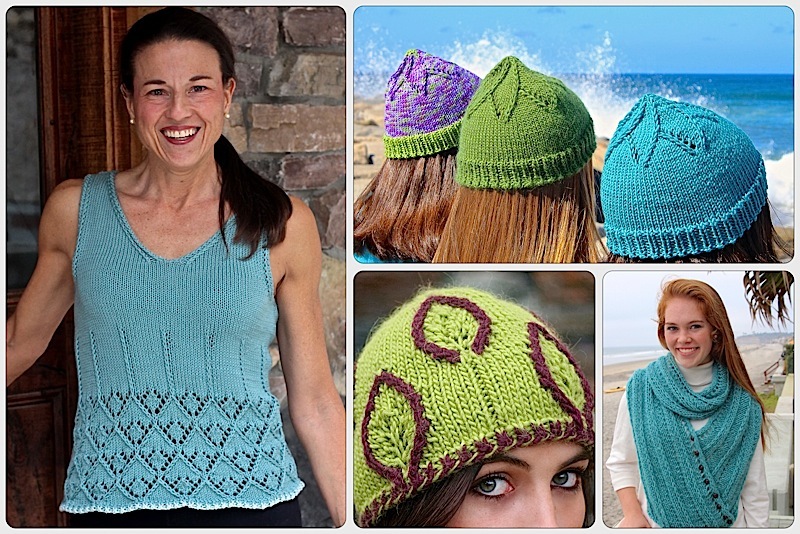 Three more ideas that reflect my love of knitting followed quickly. The first is perfect for those, like me, who learned to knit from their grandmother and the second reflects my love of giving (and getting) knit gifts. There are so many photo gifts to choose from these days that at least one will be perfect for your favorite knitter (which just might be yourself). You can download these high quality (300 dpi) files below. If not, right click the photo and chose save. Send me an email and I will happily link you to versions with ‘men’. 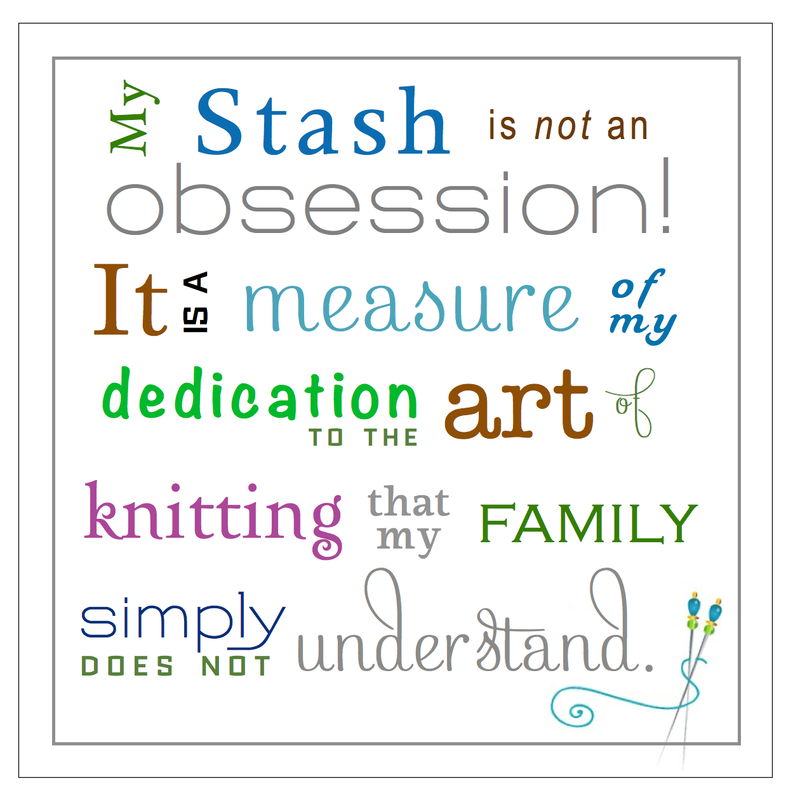 You can always reach me at laura@knittingnuances.com with any questions, comments, etc. Snapfish has 8″x8″ prints for $2.99 or a tote for $11. Shutterfly also has glass prints, and many other ideas too. Zazzle is where I ordered the mugs. Two of the files have been uploaded to make it easy for you. 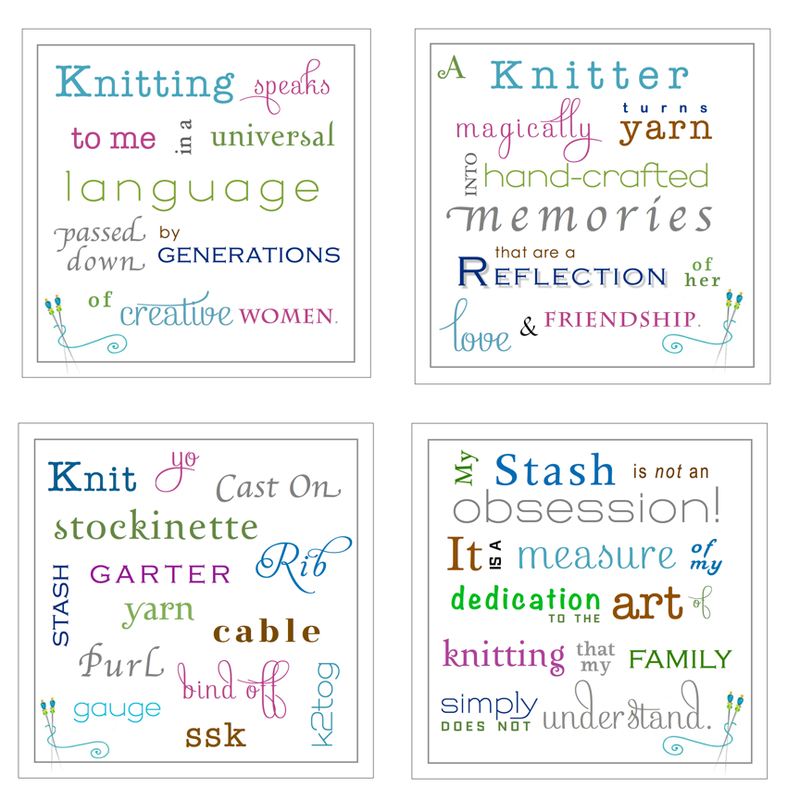 Here are the links: Stash Mug and Knitting Terms Mug. Zazzle is a site that lets you customize lots of products. I have no affiliation with them, but do really like the mugs with the bright blue handles. Zazzle also has a big 24″ square poster. I put this up in the hall. I have to admit my family was not as amused as I was, but then again, I was pretty amused. Thanks Laura! Love these ideas…definitely going to order a mug, and I have a similar stash issue. 🙂 And my family are not nearly as enamoured of it as I am! I have tried to download “The perfect gift” for my stash. Can’t find a download button. Help! Usually when you hover your curser on the bottom center edge a download menu will show. Otherwise, you can right click the image and the option to save image should appear. This entry was posted on November 27, 2015 by Laura Cunitz in General, Other Ideas and tagged knitting, knitting gifts.